Stan Hywet Hall and Gardens is on North Portage Path in Northwest Akron. Akron’s Stan Hywet Hall and Gardens is more spruced-up than ever for the upcoming holiday season. In today’s State of the Arts, WKSU’s Vivian Goodman takes us along on a curated tour. 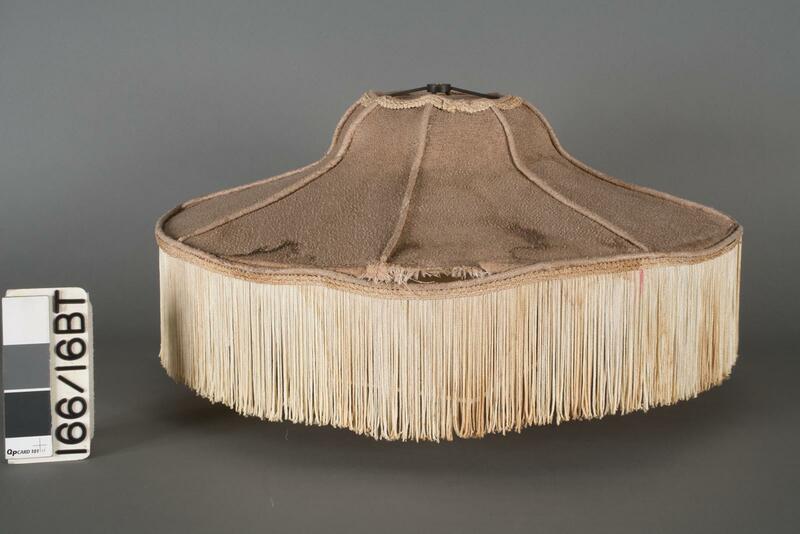 As curator of Stan Hywet, Frey oversees the furnishings and historic artifacts of one of the last remaining residences of the barons of America’s Industrial Age. The 90-room English Tudor-style mansion on North Portage Path in Northwest Akron is in the midst of its first cohesive, large-scale restoration. Franklin Augustus Seiberling had it built back in 1915, and the family lived here for 40 years. F.A., as he was known, was the co-founder of the Goodyear Tire & Rubber Company. He was devoted to his wife, and she was a patron of the arts. A contralto who sang at the White House for President Taft, Gertrude Seiberling had many musician friends. Her husband gladly granted her wish with an elegant and fully-equipped music room. The Seiberlings also loved their Aeolian organ. Installed in 1915, the instrument had been silent since the late 1950s, when the family moved out. It was restored five years ago thanks to donors who contributed almost a half-million dollars for the project. The Aeolian organ has been renovated to now also be able to function automatically like a player-piano. Last year, Stan Hywet turned 100, and currently, a $6 million dollar renovation is underway thanks to the successful Second Century Campaign. Since 1957 when the Seiberling family donated Stan Hywet to a non-profit organization, the house museum and country estate has never been neglected. “Restoration is ongoing here at Stan Hywet,” says Frey. The current campaign will eventually restore 15 spaces in the Manor House. This year $1 million will be spent on the library, the Tower Staircase, and the Great Hall, which was the Seiberling’s family room. Thanks to meticulous attention to historic detail, the Great Hall looks much as it did from 1915 until the family left in 1955. But over that time drapery would shred, lampshades would fray, and carpets and upholstery would fade. 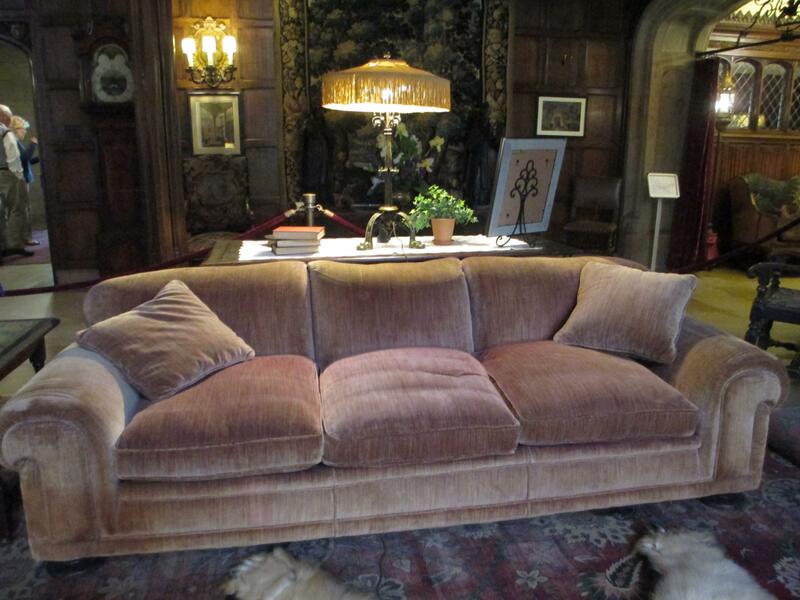 After about a century of cranberry redness the sofa in the Great Room had faded to a dull pink. Also, after F.A. Seiberling stepped down as president of Goodyear in 1921, they weren’t quite as rich. The century-old sofa had faded to a pale pink before restoration. That’s why the Great Hall’s cranberry-red sofa fabric had to be re-created. “It had become very light-damaged, bleached-out, worn-out.” Frey says no one is allowed to sit on the sofa. Fabric restoration has been aided by digital technology matching color, pattern, and weave. "You can actually have designs scanned by a computer off a fabric, find a linen that matches the quality of the historic linen, and then you can reprint them,” says Frey. The new carpet for the Tower Staircase and Landing resembles the pattern of the original carpet. It replaces a beige service carpet and is just as sturdy. carpet. It’s ready now for “Deck the Halls” in December. Preserving the fountain has long been problematic. In the 1940s, rough-housing by the Seiberling’s grandkids toppled it. The fountain was restored in 2002, only to fall down again. Restoring the fountain in the mansion’s solarium required running rubber hoses through the original copper tubing. The Breakfast Garden Fountain's cherub is back. The statue has toppled twice since it was first installed. Frey says the plan is to do the same with the now-silent West Porch Fountain, and to use distilled water after a thorough cleaning of the opaque stain at its base.